Putting an end to your marriage is final. Parenting, on the other hand, ties you to your ex-partner for the rest of your life. Co-parenting is one of the biggest concerns of couples going through a Maryland or DC divorce. As you know, keeping children out of the middle of a conflict and a divided household is best for their mental health and well being. As the holidays draw near— the Halloween decorations are down and your calendar is filling with holiday parties, you’re starting to get anxious about the plans to spend time with your kids baking cookies and wrapping gifts. 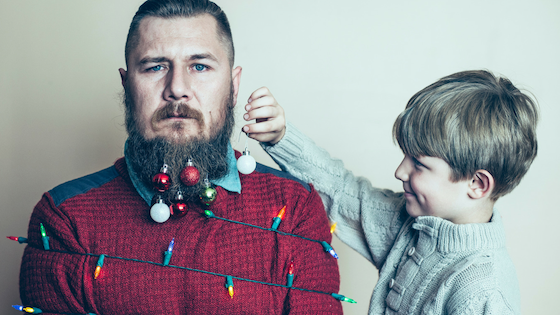 Child custody during the holidays doesn’t have to be a challenge. Enter the holiday parenting plan. 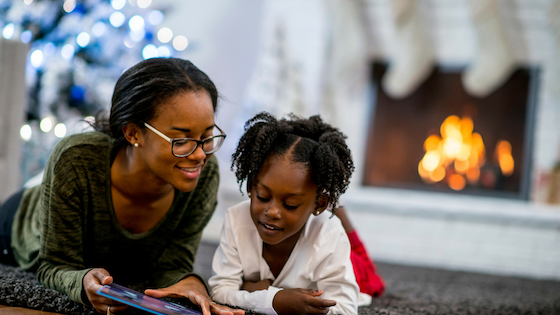 In this article, you’ll learn why it’s incredibly important to have a parenting plan in writing during the holidays, vacations, and school breaks. You’ll also learn helpful tips and ideas to keep in mind when you’re about to develop one. What’s a Holiday Parenting Plan? If you’re going through a Maryland or DC divorce right now or if you’re newly divorced, a holiday parenting plan agreement can help iron out disputes and reduce the risk of future conflicts. Like a standard parenting plan, a holiday parenting plan outlines when your children are with each parent during the holidays. It sets expectations, eliminates confusion, and makes sure that you and your ex-stick to schedule. It outlines who gets to take the kids to Frosty Friday, who goes to the winter concert, and how to split the big days. The holiday season is already stressful enough for both parents and children. A good, detailed holiday parenting plan keeps the stress of divorce from overshadowing the holidays. As opposed to having a holiday parenting plan assigned to you by a family court or a third party, drafting and coming up with a parenting plan together means that you and your ex will be more likely to be satisfied with the outcomes. After all, you know your children much better than the judge. In case of ongoing divorce proceedings, a parenting plan helps the court determine how your children will be cared for following divorce. It will help demonstrate to the judge that you and your ex have carefully thought about how to raise your children post-divorce. It’s also easier for the judge to make a ruling about child support​. In Maryland, the ability of both parents to work seamlessly together when making significant decisions about their child’s welfare is one of the significant factors that could help the court decide on custody. A detailed parenting plan reduces the risks of future litigation and helps manage obligations between parents. Leaving everything out in the open only invites more problems and conflicts. In cases when either parent doesn’t stick to the holiday parenting plan, the judge can later refer to it as proof of violating the initial agreement. Children thrive on structure. It can help them constructively control themselves and their environments. Plus, having routines has been shown to instill a strong sense of security in children. Generally the law requires that a parenting plan include how holidays, school breaks, birthdays, and other special occasions are spent. It will cover the time of day that the custody will begin and end, if the child or children will picked up from school, from home, or another location, and how many days the visit will last. Have everything written down for your children’s regular activities. Give your children a routine that’s reliable and easy for them to remember. The point is to be consistent, yet flexible, with your schedules. Sounds contradictory right? Not really. For example, let’s say you have a 4-year old who has the stomach flu days before Christmas. Instead of forcing your child to travel thirty miles to the other parent’s house so you can “stick to the plan,” it makes sense to keep the sick child at home with you. On the other hand, if your child merely has a cold there’s no reason to keep the child with you when they’re in good spirits to travel. Finally, make sure your plan is detailed enough to be enforced easily. It also makes sense to add methods or approaches for future dispute resolution. Split the entire duration of the holiday season in half. While this strategy requires careful planning and coordination, it’s truly worth it in the end. Openly communicate with your ex when purchasing gifts and planning adventures. Divorce doesn’t necessarily mean you stop working together for the kids’ benefit. Choose to focus on enjoying the time you have with your kids rather than brooding over the perceived unfairness of holiday schedules. Be flexible with various holidays. If St. Patrick’s Day has always been a big corned beef and cabbage celebration in your family, consider asking to have the children on March 17 every year. Likewise, your ex-spouse has always celebrated Independence Day in a big way, so allow your ex the pleasure of celebrating with the kids every July 4th. Make time for extended family like grandparents and cousins who might want to spend time with your children. 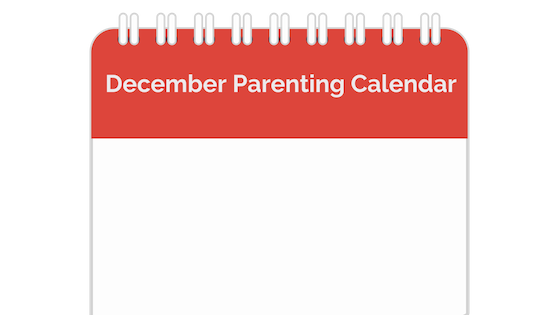 Seek the perspective of other parents who have been through the process of documenting their holiday parenting plan. Gather necessary documentation that you may need for the holiday parenting plan like child-related expenses and the child’s schedule including their extracurricular activities. Don’t forget to take care of yourself and carve out some “me-time”. It’s easy to feel overwhelmed during the holidays. Nothing dampens the holiday cheer like arguments, constant blaming, whining kids, and teen tantrums. In Maryland and D.C. areas, you can speak with an experienced family law attorney to develop a reliable, flexible holiday care parenting plan that addresses the specific needs of your family. At Wise Family Law Division, our family law professionals have the knowledge and experience specific to a Maryland and DC separation. These are important in developing a holiday parenting plan that will not only serve your child’s best interests but satisfy court requirements as well. Finally, we use our expertise and creativity every day to resolve both simple and complex cases. We also prioritize creating lasting agreements keeping you out of court now and in the future.